The girls were both gifted for Christmas this really LOVELY book. It's such a thoughtful presents for children, it ticks many boxes. This customized, personalized book for children is original, cool, creative, clever, well designed and to cherish for years. 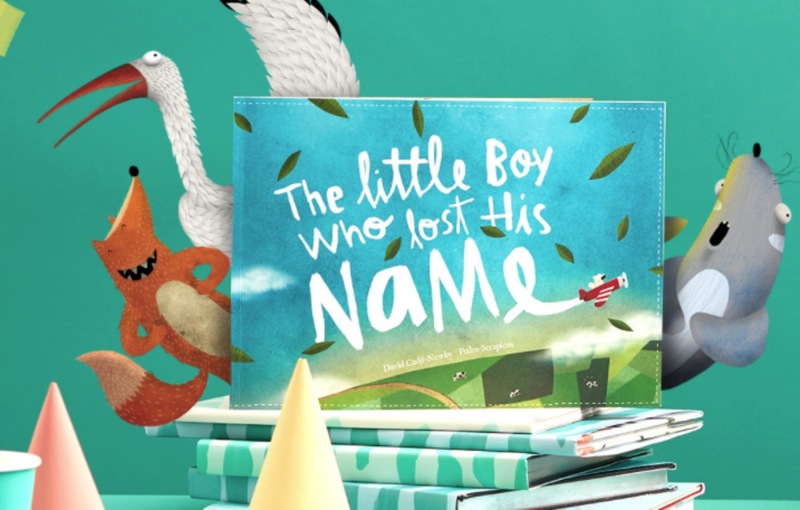 Have you heard about The little boy/girl who lost his/her name - by lostmy.name. It's personalized experience for children. The story is about a little blond girl (customized to Josefin) who lost her name and goes on a adventure in search for the letter in his name. On his journey he meets up with an elephant , zebra, a tiger, a monkey... and so on. I truly believe, it's a lovely gift idea for newborn, Christmas or birthday. It brings family together, it creates magic and inspire little ones. The book is for children between 2 and 6. Easy to navigate the website, will allow you to personalize the story to your child. You can also customize a sweet message on the inside of the book which added a special touch and add to the thoughtful gift. That time of the year... resolutions.